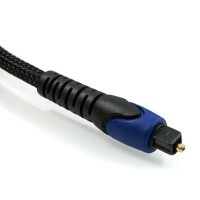 An Optical Cable transmits a digital audio signal through a fibre optic tube via light. This effectively creates a cable that is completely immune to EMI, RFI and ground loop Interference. This will ensure that you are able to enjoy flawless digital audio reproduction. 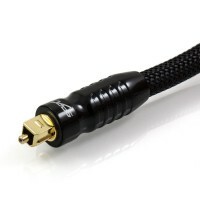 This type of cable can also be referred to as a Toslink Cable and the connection type is commonly referred to as S/PDIF (Sony/Philips Digital Interconnect Format). Supported audio formats include Dolby Digital, DTS and LPCM etc.